If you were born with your SUN in AQUARIUS, you pride yourself on being a non-conformist.? For you, individuality and personal freedom are high priorities in life.? You?re charismatic and like to encourage others to break free from societal expectations.? For this reason, you are a natural community coordinator and/or political activist. Willing to be unorthodox and come up with ?the next new thing,? your inventive streak is strong.? Your friends and group interaction are important to you and you generally have ideas that can enhance both situations.? You possess an abundance of creative energy and enjoy exchanging your ideas with others.? Your innovative approach to problem solving is an asset to humankind. The year of 2015 promises to help you move towards some of your larger life goals.? There are several planetary forces at work that can propel you towards success.? Fresh new ? even brilliant – ideas for moving forward in your life will occur to you, coupled with the requisite discipline necessary for turning inspiration into manifestation.? While many of your peers may be having some tough challenges this year, your path is relatively clear.? It will be up to you to take advantage of the opportunities you see for advancement.? The key will be to move with the energies and avoid holding on to old habits that no longer serve you. Partnerships will be a big theme and there is the opportunity to increase the amount of romance in your life!? For most of the year, there will be an emphasis on learning the art of compromise and negotiation with those around you.? These approaches will help you in advancing your plans.? From mid-November to the end of the year, intimate one-on-one relationships may take priority over group interactions. URANUS in Aries continues to square Pluto all year and the energy of revolution will gain momentum worldwide.? This year Uranus continues to sextile your Aquarius Sun.? You may feel some restlessness, but it can be easy to channel your desire to change into a creative outlet.? Opportunities will arise for making successful strides forward in furthering your creative goals.? However, you will need to be the one to put forth the effort to follow up on the openings presented to you.? You will have the ability to inspire others with your written or spoken words. Uranus, your ruler, will spark highly creative new ideas in 2015. While the door is open for advancement, it is to your advantage to do the necessary work to capitalize on it. You can also take the motivation you feel and help others to break free from limitations and follow their passions.? Aquarians born February 2 ? February 10, of any year, can expect to feel the most ?fired up? about going for what they want. PLUTO in Capricorn, continues to travel through your Solar 12th House this year.? The theme of ?emotional housecleaning? continues.? You?re currently in the midst of a long-term process ending in 2024, when Pluto completes its transit through Capricorn.? Self-sabotaging patterns ? that have been operating behind the scenes, in your subconscious – are arising for you to see and release.? It?s time to let go of behaviors that are not serving you. Slow and steady is a good mantra to employ, as you will benefit the most from careful, thorough self-analysis.? You are gradually ridding yourself of unhealthy beliefs and habits in order to become the most empowered version of yourself.? Uranus? square to Pluto can provide some sudden realizations and mental ?growth spurts? to help you along.? Aquarians born February 2 ? February 5 will experience the most transformation. 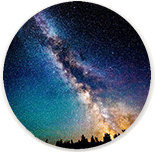 SATURN will be in Sagittarius, sextiling your Sun, for most of 2015.? This can help you to identify some of your larger life goals and connect with people who can support you.? It?s a good year to find like-minded people and commit to a cause you believe in.? You may find you are more selective about the friends and associates you choose.? It?s a year to prioritize and orient yourself towards groups that are in alignment with your values.? The sextile from Saturn gives you the opportunity to manifest one of your goals in a practical, realistic way, but it is you who will need to do the work necessary to take advantage of that opportunity.? Aquarians born January 21 ? February 1, of any year, will feel the most motivation to move towards their bigger life goals. Between mid-June and mid-September, Saturn will Retrograde back into Scorpio and square your Sun.? This may indicate a challenging situation that can help you re-focus your energies towards your goals.? Aquarians born on February 18, of any year, will be most likely to experience valuable lessons during this time period. NEPTUNE continues its journey through Pisces and your Solar 2nd House.? This can present financial opportunities, but they may not be easy to recognize.? Your intuition can be spot on when it comes to money and investments.? However, it?s a good idea to consult a trusted ally as Neptune?s influence can cause you to become overly idealistic. Your idea of what?s important will be changing in 2015.? Ideals that are not serving you may become less imperative and begin to fade away.? You will likely begin putting more value on spiritual pursuits this year.? It?s also a good year to develop businesses that utilize creative skills, humanitarian efforts and/or the healing arts.? If you were born January 26 ? January 30, you may feel the most desire to earn money doing something to help others. JUPITER will be in Leo, opposing your Sun, for most of the year.? This can be a fortunate transit for partnerships, helping you to increase a sense of romance in your life.? You will likely receive positive attention and be noticed for your creative approach to life.? It?s a good period for increasing your self-esteem and feeling a boost of optimistic energy.? Keep in mind that to stay humble in the midst of success keeps the lines of advancement open. You may be feeling so great that you attempt to take on too much.? Be sure to respect your need for rest and renewal by creating a balanced schedule for yourself.? On August 12, Jupiter will move into Virgo and your 8th Solar House.? This can bring big opportunities to experience healing for yourself and within an intimate relationship. Sharing your ideas with others can be extremely beneficial.? There is a marked opportunity this year to uncover hidden talents and desires, but you will need to work with others in order to fulfill your full potential.? Networking to find like-minded people will be a great way to advance your goals. You have a lot of inspiration to offer others and the ideas you can generate as a result of collaboration can be life-changing.? Your intuition will steer you in the right direction, but the wisdom of a trusted mentor can help you to avoid obstacles in your ?blind spot.? Aquarians tend to go against the grain and want to blaze their own trail.? While there will be some support for these inclinations, this year there will be an emphasis on teamwork and compromise.? Your best bet is to find new ways to work within existing frameworks. When it comes to some of the bigger projects in your life, it is in your best interests to avoid the urge to scrap everything and start anew.? Instead, look for ways to reinvent your life using some of the resources you already have. Through most of the year, it will serve you well to keep your plans and options open.? You may find yourself teaming up with a diverse range of personalities.? From mid-November to the end of 2015, there will be more energy to support fine-tuning the details and being more selective about who you let into your inner circle.